Ever heard of Moishe House? 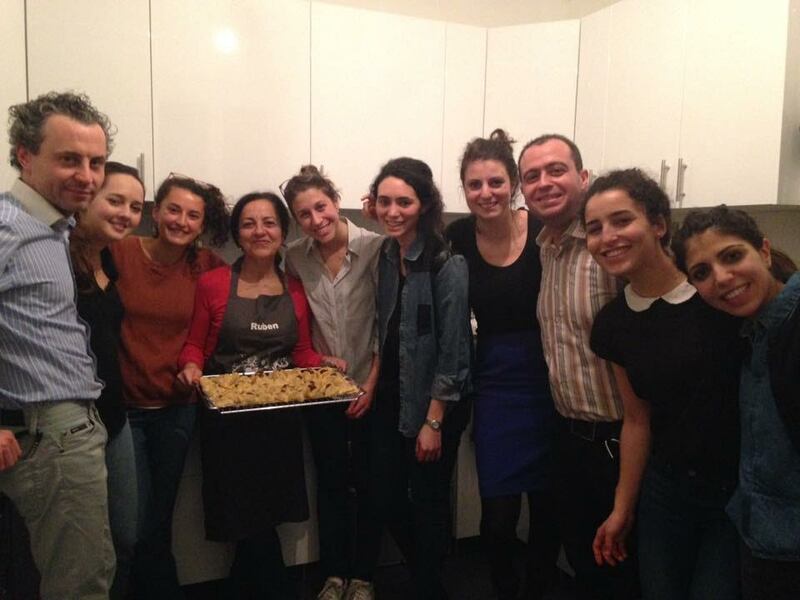 Sophie, a Paris MoHo-resident, shares her thoughts on this peer-focused, alternative community initiative for young Jewish adults, that's becoming a global phenomenon. Last weekend a rather odd bunch of folks gathered in a Czech thermal spa. In the remote and woody countryside close to Prague, European Jewry was plotting. On the agenda was the future of the Moishe House organisation, an American-based nonprofit which creates innovative spaces for young Jewish leaders to create their community, to open their Jewish homes to strangers, and spread Jewish knowledge and values. Over the weekend, the Moishe House residents were carefully trained to better their skills in accomplishing this great mission: in between the coffee breaks, they learned about conflict-resolution and career-building in participative sessions. On Friday eve, three different sabbatical activities were offered. While a pedagogical kabbalat shabbat was held, explaining the secrets of the Siddur, others were davening Carlebach-style in the conference room. Finally, those who wanted to experience something new were guided into a meditation walk in the woods with Inbar Amir, an Israeli educator. Clearly, the organisers took the motto ‘two Jews, three synagogues’ seriously: there was something for everyone. And indeed, embracing Jewish diversity is one of the Moishe House’s fortes, and one of the few reasons I’m proud to be part of it. Many Jewish organisations, from Chabad to Moishe House, pride themselves on being ‘open to all’. And in a certain sense they are: you can walk into a Chabad shul as well as a Moishe House dinner whatever your background and affiliation. But let’s not delude ourselves: the decisions a given organisation makes on certain key issues determines what segment of the population it will target - and, reciprocally, alienate. 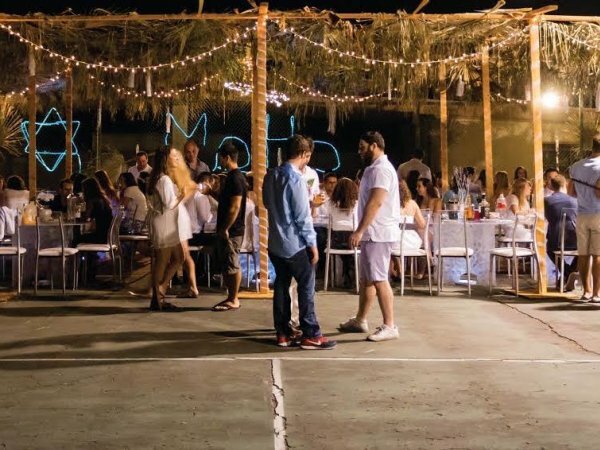 By deciding to leave kashrut as optional for Moishe House residents, by hosting both-gender activities, and by encouraging interfaith or pro-LGBT activities, Moishe House is targeting a rather secular part of Jewish population. And I personally don't believe this ought to be kept a secret. Whether those choices will alienate the Orthodox depends on their own values. But it also depends on us - on our own ability to create a safe space for them, in which they don't feel pressured to absolutely conform to secular expectations. As a young person finding my path within Judaism, I remember being infuriated by the paternalistic discourses of some well-meaning Orthodox Jews for whom ‘open to all’ meant ‘accepting to work on the spiritual bettering of our Jewish brethren in whatever state of depravity they are’. Let us not do the same to the more conservative members of our community. The Moishe House invests in 22-32 year-olds for a reason. First, I would argue that it's easier to deal with people when they're through with puberty. Second, the Moishe House people saw that there was a gap that needed filling. After college, young Jews are no longer pampered by all those Jewish organisations on campus, and are rarely part of a Jewish community or organisation. Let’s face it, many of us in the West struggle to find exciting ways to engage with our Jewish heritage. This is where Moishe House comes into the picture: by providing a Do-It-Yourself, non-denominational hub dedicated to youth, which can provide a fertile soil for Jewish life to naturally grow from. 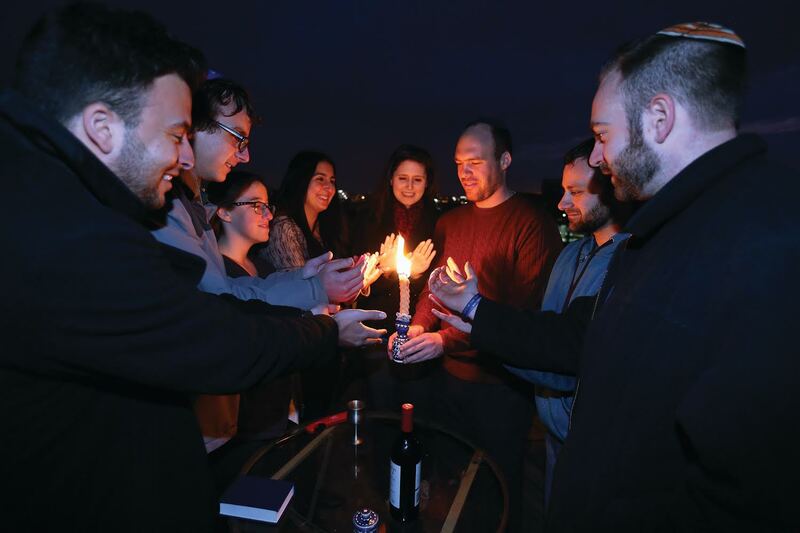 Moishe House offers the young adults the opportunity to be empowered by creating Jewish, and non-Jewish activities, tailored to their specific needs and interests. And after more than 10 years, those efforts are paying off. In Europe, the first Moishe Houses were opened in the former Soviet Union, where the need for innovative Jewish programmes was felt the most. The new generation, which had grown up in a society in which religious education was prohibited, was showing interest in its Jewish heritage, but didn’t have many opportunities for learning and growth. Rather than telling that generation to wait [in order] to be taught by Orthodox envoys, Moishe House gave them the possibility to start from scratch and shape their own community. The reason why Moishe House trusts young adults might be because it was founded by some, and is still run by them. Moishe House was founded in 2006 by four 20-somethings hosting Shabbat dinners in Oakland, California for their friends and networks. In Paris, although the historical context is rather different, the key to Moishe's house success might not be any different. Many members of my generation, in their 20s and 30s, often feel estranged from the larger Jewish community and its outdated ways of approaching Judaism which doesn't speak to them, from Rabbis rebuking their flock for assimilation, to ‘dress like a tsinut princess’ parties. However, this age group is a crucial one to address: they are the very future of the Jewish community. Grassroots projects such as the Moishe House, when carried out by energetic and committed individuals, can have a considerable impact. They can bring back to Jewish life those who we will never meet in a shul, but can find other ways to connect with their Jewish self. Rather, it’s a platform, or a meeting spot, where many different voices get to be heard: what the New York Times once called ‘a four bedroom kibbutz‘. Others have a more activist bent. Last month, our house held a Bollywood party with Ezra, an organisation which encourages younger members of the community to take care of the older ones, establishing a bond between generations and providing care and affection to lonely elders. I strongly believe that the diversity of Jewish experiences, cultures, and viewpoints is a great asset to Judaism. The stereotype of two Jews with three opinions is more than a joke, it permeates everything that is Jewish, from the Talmud to gefilte fish recipes. If there is something essential to Judaism, that is dialogue. The Moishe Houses strive to be in the image of the Jewish community itself: diverse, disparate, colourful; and to provide a safe space for all: from Orthodox-observant Jews to members of the LGBT community, non-Jews or non-affiliated Jews. In my opinion what a Moishe House should do is provide young individuals with meaningful Jewish experiences that would challenge their assumptions about ‘what Judaism is’. This, I would also argue, involves getting acquainted with non-Jewish ideas and activities, as I believe that it is healthy and necessary for the young Jewish community to broaden its horizons. Judaism is not only a dialogue within itself, but also a dialogue with the world. Additionally, I believe in a Moishe House that is also a convivial space where one can simply enjoy oneself and meet up with friends and make new ones. I would feel we have fulfilled our mission if program participants walked out of our home having met people and ideas they would not have encountered otherwise. I would like them to feel that they have somehow come closer to the Jewish community and to their own Jewish identity, whichever shape this takes for them. I would like us to have aroused their curiosity about Judaism and their relationship to it. Overall, I want the participants to enjoy their coming to the Moishe House, which should first and foremost be a friendly place where all can feel at home and a showcase of all that Judaism and the Jewish community have to offer. Sophie Bigot-Goldblum is a Paideia and Heidelberg alumna. 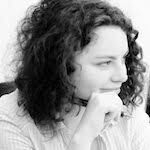 She holds an MA from Hebrew University, and is currently a Moishe House resident in Paris.